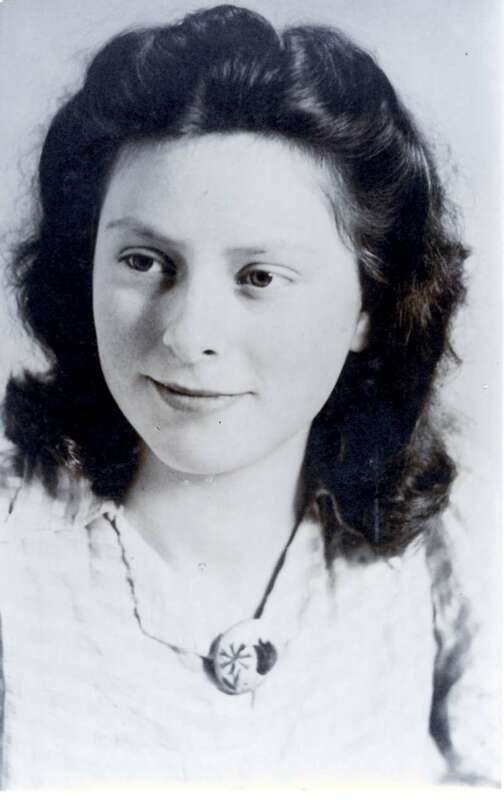 © Courtesy of National Hannie Schaft Foundation/ As a teenager during World War II, Freddie Oversteegen was one of only a few Dutch women to take up arms against the country’s Nazi occupiers. Yet Freddie Oversteegen and her sister Truus, two years her senior, were rare exceptions — a pair of teenage women who took up arms against Nazi occupiers and Dutch “traitors” on the outskirts of Amsterdam. With Hannie Schaft, a onetime law student with fiery red hair, they sabotaged bridges and rail lines with dynamite, shot Nazis while riding their bikes, and donned disguises to smuggle Jewish children across the country and sometimes out of concentration camps. In perhaps their most daring act, they seduced their targets in taverns or bars, asked if they wanted to “go for a stroll” in the forest — and “liquidated” them, as Ms. Oversteegen put it, with a pull of the trigger. Freddie Oversteegen, the last remaining member of the Netherlands’ most famous female resistance cell, died Sept. 5, one day before her 93rd birthday. She was living in a nursing home in Driehuis, five miles from Haarlem, and had suffered several heart attacks in recent years, said Jeroen Pliester, chairman of the National Hannie Schaft Foundation. The organization was founded by Ms. Oversteegen’s sister in 1996 to promote the legacy of Schaft, who was captured and executed by the Nazis weeks before the end of World War II. “Schaft became the national icon of female resistance,” Pliester said, a martyr whose story was taught to schoolchildren across the Netherlands and memorialized in a 1981 movie, “The Girl With the Red Hair,” which took its title from her nickname. Ms. Oversteegen served as a board member in her sister’s organization. But she “decided to be a little bit out of the limelight,” Pliestersaid, and was sometimes overshadowed by Schaft and Truus, the group’s leader. Freddie Nanda Oversteegen was born in the village of Schoten, now part of Haarlem, on Sept. 6, 1925. Her parents divorced when she was a child, and Freddie and Truus were raised primarily by their mother, a communist who instilled a sense of social responsibility in the young girls; she eventually remarried and had a son. Although living in poverty, sleeping on makeshift mattresses stuffed with straw, the family harbored refugees from Germany and Amsterdam, including a Jewish couple and a mother and son who lived in their attic. After German forces invaded the Netherlands in May 1940, the couples were moved to another location; Jewish community leaders feared a potential raid, because of the family’s well-known political leanings. Ms. Oversteegen and her sister began their resistance careers by distributing pamphlets (“The Netherlands have to be free!”) and hanging anti-Nazi posters (“For every Dutch man working in Germany, a German man will go to the front!”). Their efforts apparently attracted the attention of Frans van der Wiel, commander of the underground Haarlem Council of Resistance, who invited them to join his team — with their mother’s permission.